National listed travel company Flight Centre is set to open a new flagship Melbourne CBD store after signing a 10-year lease at 852 Collins Street in Victoria Harbour. 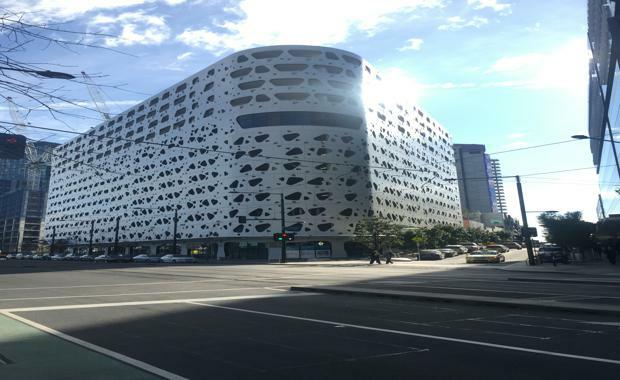 Colliers International’s Georgie Cichy has facilitated the lease, which will see Flight Centre occupy 251sqm of ground floor retail space at 852 Collins Street at approximately $710/sqm (gross). “Flight Centre is an Australian-based international travel company with over 2,800 stores in 11 different countries around the world," Ms Cichy said. “This flagship premises will offer up to six different businesses under one roof including travel services such as flights, hotel and car hire and cruises; insurance; holiday packages; travel visas; money exchange and corporate travel packages. The commitment from Flight Centre comes as Colliers International prepares to launch a sales campaign for the property. The property will be listed for sale by forthcoming auction by Colliers International’s Daniel Wolman and Oliver Hay. Mr Wolman said the property was expected to attract keen interest, due in no small part to its new long term flagship tenant. “A secure, long term lease to a reputable, national publicly listed company will be viewed very highly by investors looking at this asset,” he said. “In addition, the property benefits from its location within the most affordable part of Collins Street, an area which is expected to grow faster than any other precinct on the back of the ongoing development of the Victoria Harbour precinct. “When it comes to Collins Street retail, this is the best returning asset currently available in a tightly held market. Agents are targeting a five per cent return when the property goes to auction.